Robin Farmanfarmaian did not have an easy childhood. Misdiagnosed as a teenager with an autoimmune condition, she entered into what might best be described as medical nightmare: 41 hospitalizations and 6 major surgeries. 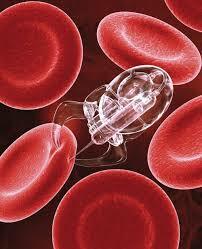 3D printing is already making its presence felt in medical device world. Ninety-five percent of all hearing aids are today 3D printed. Align Technology prints 650,000 pairs of Invisilign teeth-straightening braces a day. This tech is also pushing into prosthetics. A month back, this blog reported on a father borrowing a 3D printer from a local school to make a functioning prosthetic hand for his son. It started with IBM’s Watson. After besting humans on Jeopardyback in 2011, Big Blue sent their thinking machine to medical school. Now loaded up with everything from journal articles to medical textbooks to actual information culled from patient interviews, the supercomputer has remerged as an incredibly robust diagnostic. We’ve been hearing about BCIs for a little while now. The tech originated out of the desire to help paraplegics and quadriplegics control computer cursors with only their brains. The robots are coming, the robots are coming, the robots are, well, here. Whether we’re talking the da Vinci Surgical System—which has performed over 20,000 operations. In medicine, one of the major promises of technology is patient empowerment—especially when it comes to diagnostics. The XPRIZE Tricorder Challenge is a $10 million incentivized prize for the development of a hand-held, non-invasive electronic device that can diagnose patients better than a panel of doctors.